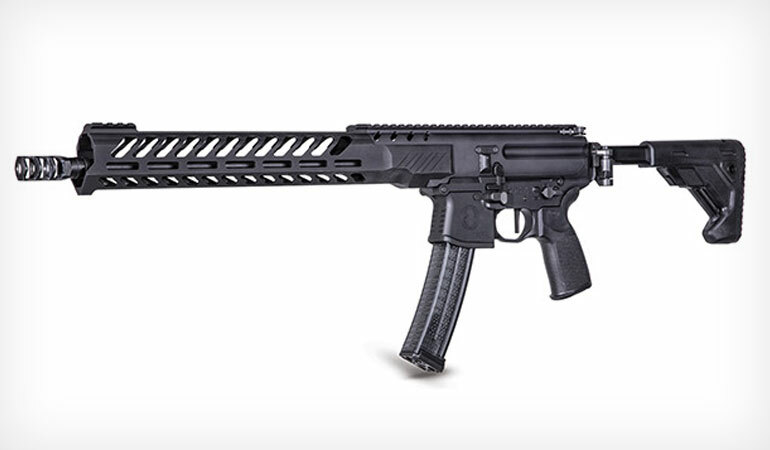 SIG SAUER, Inc. announced the release of the enhanced MPX Pistol Caliber Carbine (PCC), redesigned and upgraded for performance shooting sports, and to fulfill the needs of competitive and professional shooters alike. The newly optimized SIG SAUER MPX PCC platform includes a Timney single-stage trigger, free-float ergonomic slim line M-LOK handguard, 16” threaded barrel, 5-position telescoping stock, 3 chamber compensator, and ambidextrous controls. The MPX PCC is a black hard-coat anodized aluminum frame that comes optics ready with a 30-round magazine capacity. The SIG SAUER MPX PCC is a favorite of the competitive PCC shooter, and is the exclusive rifle of Team SIG Professional Shooter Lena Miculek. Regarded as the top female competitive PCC shooter in the world Miculek recently became the first female to earn a top five overall finish in PCC at the 2018 USPSA Nationals, and was the first female to win Master Class for PCC.